Every drawing you make in New Go iLawn / Go iPave goes into a Group. The piece of equipment you’ll use to service an area. Example = Mowing big areas with a 60″ and smaller ones with a 21″. The days of a multi-day job. 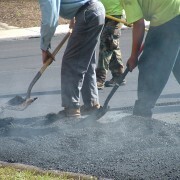 Example = Giving your retailer customer a map for completing a 3-day seal-coat of their parking areas. Phases of multi-year/multi-season service quotes. Example = Creating a 5-year maintenance plan for an industrial campus. Trashcan – This icon at bottom right lets you delete this group from the project. Just below the Groups list, you also have the option to add a new group. Just type in a group name and click the + sign to add a new one, then edit this group to meet your needs. 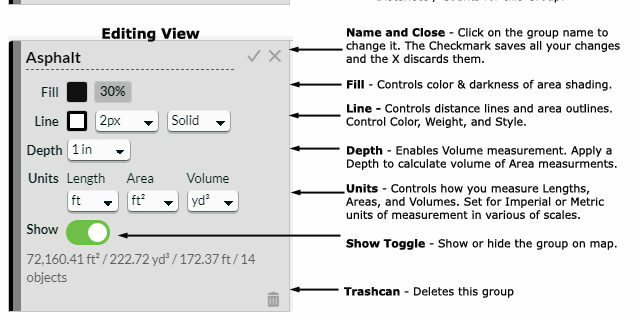 Using the instructions above, you can edit the groups in your project. But what if you want to standardize group settings for all your projects? We’ve got that covered too. Here’s how to do it. From any screen in your Go iLawn/Go iPave software, click your username (Your email address) at upper Right. At the bottom of the next screen, under “Project Settings”, we list your Default Groups. Using the same controls as above, you can edit these default groups to give them the names, colors and attributes you want. 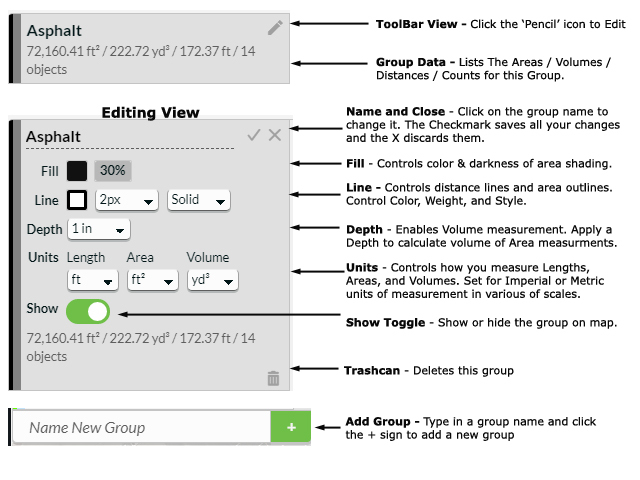 These updated Default Groups will now be applied to any New Project you make. Check what group you’re in, every time, BEFORE you start measuring to save the trouble of moving drawings from group to group later. How does your company use groups? Do you use your groups for something different? Let us know in the comments. I understand that the NEW I-Lawn is under development and some of us “oldsters” are a bit stuck regarding some of the things we liked or at least, were used to in the old I-Lawn. So, I will try to keep my feedback as objective as I can:) Regarding Groups, we use them ALOT . . . something I find clumsy and inconvenient is the need to open the group, click on the show/no show button and click again . . . It would be very handy and super-useful if the show/no-show control were right off the title somehow to eliminate the need to open/close the groups all the time. Would save lots of screen space too. In general, I would vote for bringing the rotation tool/capability back much sooner than later!!! It makes a huge difference in capabilities for viewing, mapping and printing. Thanks for your input Mary. We’ll pass along your comments about the show/no show controls. Of course it only takes one click to re-show a hidden group, but the original toggle to hide a single group requires extra clicks. This control setup may be just a design compromise. Partly, this design is meant to keep the groups section “clean” and usable for our mobile users with small screens. We do understand the popularity of screen rotation, and it is a top priority once the functionality becomes available to us.